Six years ago Bill was in a horrific motorcycle accident on the Ohio Turnpike. He was taken by helicopter to a trauma center in Toledo Ohio. He received a closed head injury resulting in two brain surgeries and was kept in a medically induced coma for over a month. To everyone’s surprise - including the surgeons - he survived. Because of the extent of his injuries Bill had no short term memory and was unable to do the two things the he loved most: rescue dogs and ride his Harley Davidson motorcycle. After being on a ventilator for over a month he ended up with COPD, congestive heart failure and emphysema. For the past six years Bill had been mostly bed-ridden and on liquid oxygen 24/7. Anyone that knew Bill can appreciate the fact of how frustrating and devastating his condition was to him. When we started the rescue in 2000 Bill thought nothing of getting into his truck and driving non-stop all over the U.S. and Canada to rescue a dog or bring an adopted dog to their new forever home. Bill not only did this for our rescue, but for other rescues as well. If there was any way humanly possible that he could help he jumped at the chance to assist a dog in need. In the past three months Bill had been taken by ambulance three times to the hospital because he couldn’t breathe. On December 20th, 2011 Bill took his last ambulance ride to the hospital. He was put into intensive care and placed on a ventilator where they tried to keep him as comfortable as possible. On Christmas Day, after many unsuccessful attempts to get him off the ventilator and keep him stabilized the doctors decided that he should be placed into a hospice situation. He was in the final stage of COPD and there was nothing more medically that could be done. In the very early hours of December 28th, 2011, Bill, with his family at his bedside, finally was at peace. Everyone that knew Bill realized from the very beginning that he was very rough around the edges. He was his own person and there was only one opinion that counted - his. If he had something to say - he said it - no holds barred. The only soft spot Bill ever had was when it came to his love for animals and his tremendous drive to make a difference in securing them a forever and loving home. For this he will be forever missed. Bill served his country in the Navy, the Army National Guard and the Air Force Reserves. He lived and breathed his Harley Davidson motorcycles from the time he was thirteen years old. That is why we felt it was so fitting that his final ride should be in a flag-draped coffin, in an old-fashioned caisson being pulled by a Harley Davidson motorcycle “trike”. 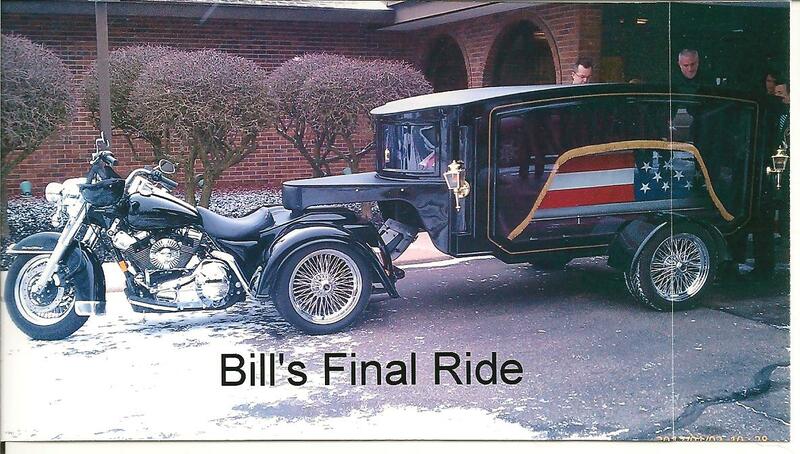 Bill always liked to be noticed and to stand out in a crowd - and this tribute definitely had people stand up and take notice of his “final ride”. Bill will be greatly missed and remembered by all the people that adopted one of the many dogs that Bill helped to rescue. I am sure that it was a fantastic “homecoming” at the Rainbow Bridge when Bill was met by all the dogs that he had saved and that were patiently waiting for him to meet them and take them on to heaven. Bill was laid to rest at Cadillac Memorial Cemetery in Westland, MI on 1/2/12 only a few yards away from Garden of our Little Friends (animal cemetery inside the cemetery) where he had nine of his own dogs buried. Rest in peace, Bill, and thank you for your dedication and devotion to saving our four-legged friends and giving them the voice that people could hear. 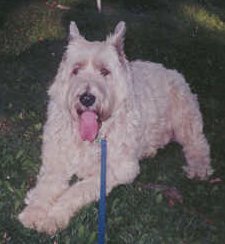 “In Memory of Bill” What can I say, but that he was a very good friend and an ambassador for the Bouvier des Flandres breed. 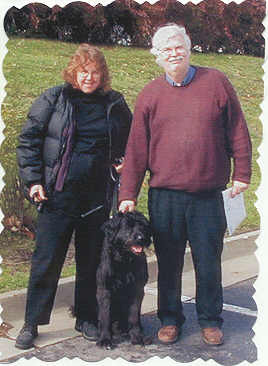 I got to know Bill & Jan through doing Bouvier rescue for the past thirteen years. He loved the Bouvs just as much as I did. And even though I worked for ABRL and Bill worked for Second Chance Bouvier Rescue, there was never a time that when I picked up the phone and called that Bill didn’t drop everything and get in his vehicle and go get the Bouvier that needed our help. We helped each other out all the time. He even helped me with the Bouvier mixes. THANKS BILL!!! You will be definitely missed. I hope God has you in charge of the kennel “up in the sky”. On February 23rd, 1948 God decided to bless us all with the birth of Nancy Ousnamer. Nancy was destined to be the guardian and protector of God’s little friends. She grew up loving and taking care of all animals large and small. She was the voice and advocate for those that could not talk and could not defend themselves against the cruelties of mankind. Nancy used to tell everyone how blessed she was to have met and fallen in love with her husband, Paul. How many men do you know of that would allow their bride to take a Bouvier on their honeymoon - well, Nancy did. She always told everyone that without Paul, she could never have accomplished her dreams. I met Nancy about twelve years ago. She was already doing Bouvier rescue and had been boarding and caring for dogs for about thirty years. Nancy’s husband, children, family, friends and dogs always came first - Nancy always took care of herself last. Nancy was my best friend, my confident, my mentor, my “adopted” sister. I felt like I had known her all of my life from the first moment I met her. Nancy, Paul, my husband and myself decided to start our own rescue on August 1st, 2000. This was the turning point of my life. Nancy had a zest for life, and did everything in her power to try and make everyone else’s life better. When it came to an animal in need, Nancy wore her heart on her shoulder. She had the wisdom and the compassion to make a difference - and what a difference she has made. Everyone that knew Nancy, or knew of Nancy loved her. When some of her boarding clients passed away or were permanently hospitalized, Nancy and Paul took in their animals and gave them love and a home for as long as they were blessed to have them. On many occasions and at all hours Nancy and Paul would get calls from people that needed to have their dog transported to the vets office because they were sick or dieing and needed immediate attention or had to be euthanized and the people were not able to do it on their own. 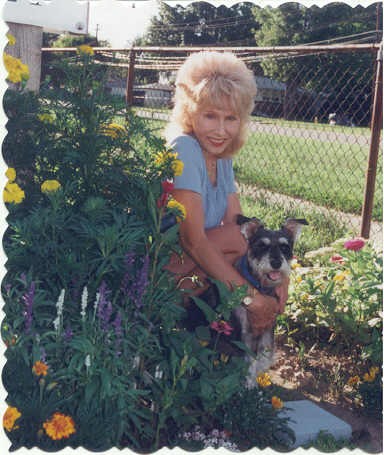 Many people made arrangements that when their pets passed away that they would be buried at WarBar Farms, their home away from home, a place they loved to visit and the place they wanted to be their final resting place. 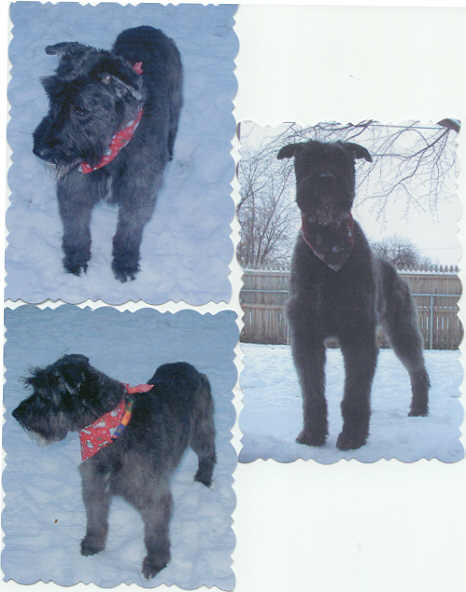 I can remember vividly one whole month that Nancy and I had spent trying to catch a Bouvier in one of the worst neighborhoods in Downriver Detroit. 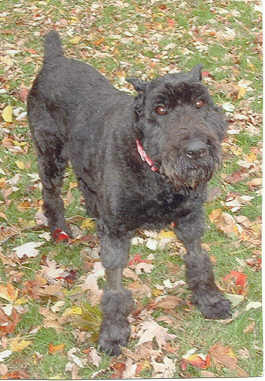 We spent every weekend and every evening following this Bouvier trying to catch and save her. We ran around in the middle of the night trying to live- trap, bait, coax, catch her with a net, but to no avail. We even tried sedatives mixed with cooked liver. The only thing that happened is that the seagulls swooped down and gobbled up the “drugged” food - and Xena the Warrier (so we named her) eluded us again. We always laughed about the poor seagulls flying around in a stupor wondering what had happened to them. As bad as the neighborhood was we were not afraid because we were on a “mission”. There were so many midnight rendezvous - too numerous to mention but all very special because we did them together. As tragic as Nancy’s leaving us is, we all have nothing but wonderful memories to look back on. There will never be another person able to even come close to filling Nancy’s shoes. She will be greatly missed, but never forgotten. For her family and friends, my deepest sympathy. For myself my heartfelt gratitude to have been allowed her friendship, company and all the wonderful memories for what little time we actually got to spend together. On October 2nd, 2006 when we all looked up into the night sky we thought we saw the stars, what we didn’t realize is that God had turned on all his porch lights to welcome Nancy home. Rest in peace Nancy, you deserve so much more. 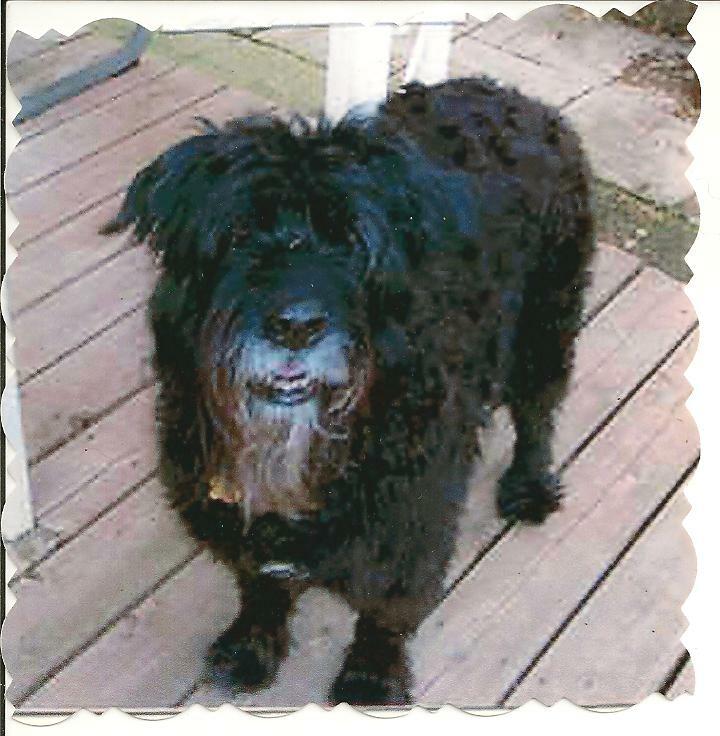 Your Friend Forever, Jan .
A donation has been made to our rescue in memory of Karlene Wacyk by Linda & Jay Taylor, Richmond, VA. Everyone at Second Chance Bouvier Rescue would like to extend our sincere condolences to her husband George Wacyk in Attleboro, MA. A donation has been made to our rescue in memory of Karlene Wacyk (she was the ultimate animal lover) by Roxanne & Steve Sheppard, in Mechanicsville, VA. Everyone at Second Chance Bouvier Rescue would like to extend our sincere condolences to her husband George Wacyk in Attleboro, MA. A donation was made by Elaine & James Brock in memory of the passing of Barleduc in October of 2008. 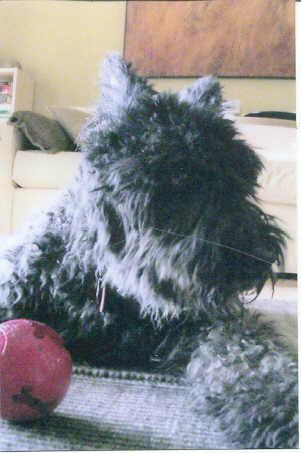 A donation has been sent by the Hamlin family in memory of Hogan, also a rescued Bouvier, who was very much loved by his family and their friend, the Rice family. We would like to sincerely thank the Blue Water Bouvier Club for their very generous donation to our rescue in memory of the passing of one of their members Mother. In lieu of flowers, Darcie Livingston was compassionate enough to request that a memorium contribution be made in memory of her Mother, Betty Kerst. Please keep Darcie and her family in your prayers. We received a very generous donation in memory of Patricia Saunders (Nancy Ousnamer's Mother, who passed away 10/30/05) from LuAnn & David Warren, Walled Lake, MI. A very generous donation was made by Maryanne Harvey in loving memory of Christine Paquette. Christine will always be remembered for how much she did for the Bouviers and for her kindness to all animals. We would all like to extend our sincere condolences to Elaine and Louise Paquette on their unfortunate loss. We rescued Annie from the Toronto Humane Society on 6/4/2001 where she was scheduled to be euthanized due to her behavior problems. Annie came with a tremendous amount of baggage. She had been beaten, burned with cattle prods, starved, had cigarettes put out on her belly and back and was just terrified of everyone and everything. Annie was a “fear biter” and as badly as she wanted to be loved and to cuddle, it had to be on her terms only. She did not demand attention and would just sit off in the corner watching everyone else get loved on and whimper because she was so starved for affection but didn‘t know how to accept it. We put Annie into an animal behavioral institute for an eight week program. The only way we could get her in was if we adopted her so that we could be trained with her. To everyone’s surprise, she made a fantastic turn-around, but only with us - she was still very leery of any strangers or strange dogs. Because of the extent of her prior abuse, Annie, would go absolutely berserk if you had a training collar on her or used any electrical appliances around her. We tried to desensitize her to electric clippers very unsuccessfully. When we took her in to be spayed they had given her enough sedative to knock out a dog ten times her weight and as soon as she heard the clippers running so they could shave her she came off the table like she was shot out of a cannon. Needless to say, I had to scissor cut her from that day forward. Annie was small for a Bouvier, she walked softly but carried a big stick. She was our matriarch, she decided she was the alpha female and there wasn’t a dog alive that was ever going to make her budge from that position. Annie used to run like the wind when she was in the yard, and was like the energizer bunny as far as her determination and resilience. Annie only feared two things: firecrackers and thunder. She could hear a thunderstorm twenty miles away and would pace and cry and drool and practically tear the door down so she could go into the utility room and hide behind the furnace until the storm was over. You didn’t want to be in her way when she was in route to her hiding spot because she would either go over you or thru you to get there as quickly as possible. Up until a year ago Annie was unstoppable, until her arthritis really kicked in. She took a nasty tumble down the stairs and hurt her neck and her back. For the past year Annie would not go up or down stairs unless she was carried. She had to be picked up and put on and off the couch or the bed because she was afraid of falling off. Annie just loved her Dad, Bill, to death. She was the only dog that ever slept in bed with him - she wouldn’t allow anyone else on her Dad’s bed. After Bill’s horrific motorcycle accident six years ago she would spend the entire day and night laying in bed with him and comforting him. When Bill went to the hospital for the last time and never returned Annie took a real turn for the worse. She would lay by the front door waiting for her Dad to come home, but he never did. For a month she couldn’t get up from a laying position without being helped and was in such pain that she would bite whoever was trying to help her. It got to the point that she couldn’t even stand long enough to go to the bathroom without falling down. So on 1/26/12, almost a month after losing her Dad, I had to make the heart-wrenching decision to let her go. I couldn’t let her suffer any longer - I owed it to her to let her go be with her Dad and all her rescued brothers and sisters that had gone to the rainbow bridge ahead of her. I held Annie as she took her final breath, as I have done for all my babies. She went quietly and quickly like the true lady that she always was. The many tears I have shed for Annie are tears of joy - that she is finally at peace and in a wonderful place with her Dad, where she will never be hurt again or misunderstood. Sleep peacefully my sweet girl, until we meet again. You will be in my heart forever. Love always, Mom, Mollie, Jake, Cody & Captain. Beau was surrendered to our rescue on 7/2/11. Beau had never been socialized with other people or children, but got along fantastic with other dogs. The day I picked him up I had his former owner put him in my van because he didn’t want anything to do with me. When I got him home - he wouldn’t come out of the van, so I just pulled it into the yard, closed the gate and left the doors open so he could come out when he was ready. It took about an hour and a half - but Beau finally decided to come out of the van and check me out. Once he realized I was trustworthy he turned into my “Velcro Bouv”. I introduced him to my four Bouvier rescues that I adopted and everyone got along like they had known each other forever. 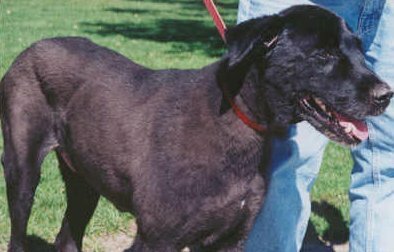 Beau had a growth on his chest and he favored his left rear leg. When I took him in to be vaccinated and heartworm tested I had the lump aspirated to make sure it was a cyst as I had been told by the former owner. The aspiration came back showing “suspicious cells”, and we decided to have it removed to be safe. They had to do x-rays prior to surgery to make sure it hadn’t metastasized anywhere and I also had his left rear leg x-rayed at the same time. Come to find out, Beau only had three toes on his left rear foot. Supposedly the breeder accidentally removed one of his toes instead of his dew claw, at least that is what they were told. The x-rays showed that his entire left rear leg was deformed from the knee down. I found a toe nail growing out of the top of his foot so we decided to have that removed during the surgery thinking that was the reason he was lame. Beau came thru the surgery with flying colors and was actually using his left rear leg even though now he only had two toes. Three days after his surgery he only wanted to eat part of his breakfast and didn’t want his dinner at all, but continued to drink water and go outside. When I went to work the next morning I arranged for someone that Beau loved and trusted to check on him while I was at work. He was fine around noon but just wanted to lay in his crate and rest. An hour later I received a call letting me know that Beau had passed away. In shock, I rushed home from work, called our vet and brought him in immediately to see what had happened. My first thought was bloat because he went so quickly. Evidently the autopsy found that he had perforations and ulcers in his duodenum and it had ruptured. The poor baby had been suffering with ulcers and the perforations for some time before we rescued him. Thankfully the vet thinks he went quickly and with little to no pain in the end. We only had Beau for two months and four days but it seemed like he had been here forever. We decided not to adopt him out because we could not trust him around strangers and children and did not want to put him in a no-win situation. Beau found the toy box immediately upon entering our home and had the time of his life playing. All he wanted to do was to play, run, eat and most of all be loved. He was a great kisser and snuggler. As shocking as it was, I know in my heart that the short amount of time that he had with us was very special. We had him cremated and his urn will be buried at the pet cemetery along with all the other rescues that we adopted, loved and lost. I just wish we had known of his problems earlier and we would have gone to the ends of the earth to have prolonged his short life. Rest in Peace Beau - you were dearly loved and will be greatly missed. You will be forever in our hearts. Mom, Dad and your Bouvier brothers and sisters. Cinder was found running loose, chasing a garbage truck. He was only a couple of months old and was so small he could have fit in the palm of your hand. He was the best babysitter. He would hop up next to a baby and the babies would run their fingers through his hair and they would both go sound asleep. Cinder went deaf and blind the last year he was with us. He finally developed vestibular degeneration and we couldn't let him suffer so we had to let him go. 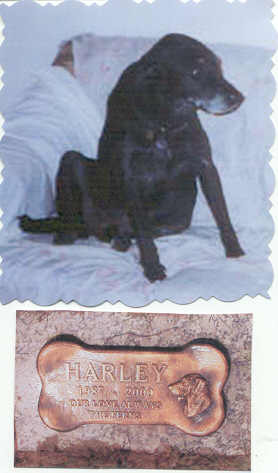 (September 16th, 2002 – October 12th,)His cremains will be laid to rest at Garden of our Little Friends - Westland, MI. 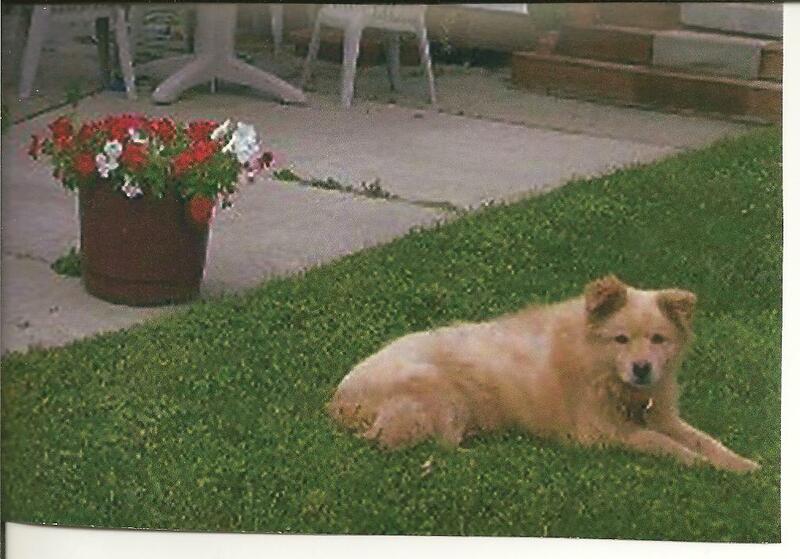 Cody was surrendered to us in April of 2006 and we adopted him to a family within weeks. 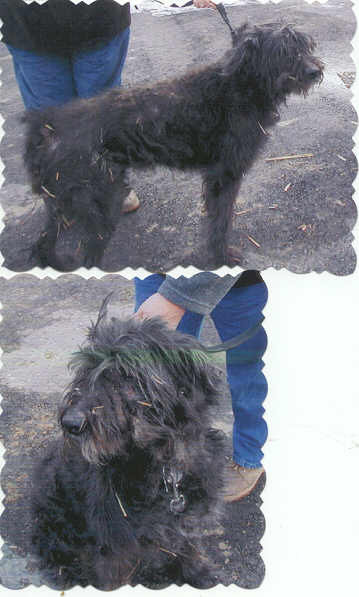 Six months later we received a call from another Bouvier Rescue in Texas because they had taken him in and he had our rescue tag on him. We had no idea that he had moved and began making arrangements to get him transported back to us in Michigan. Cody hitched a ride in an RV of one of our friends and safely made the trip back to us. Even though I already had four rescued Bouviers of my own, I decided I would adopt Cody also. Cody was the love of my life. He blended in as if he had been here all along. He was a big boy, 120#, but as gentle as a lamb. 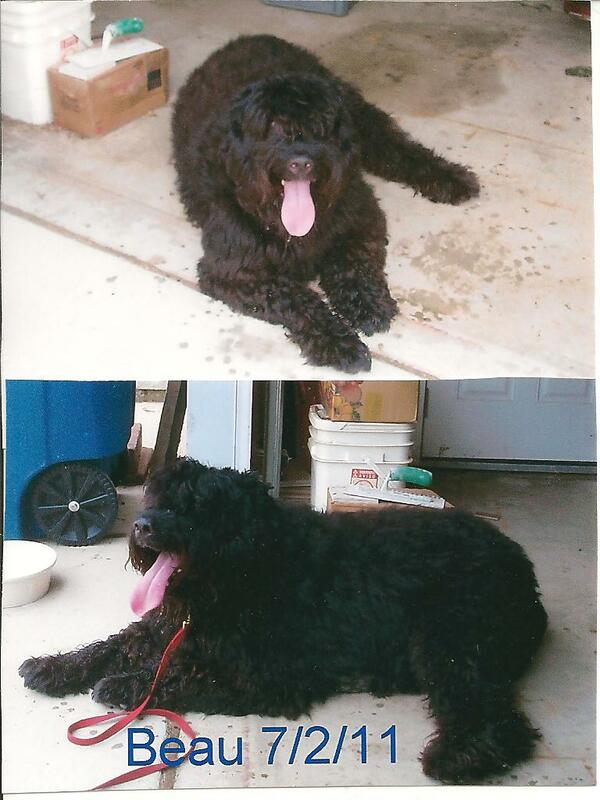 Cody was the picture of health until March of 2013, when he just didn’t seem to be quite himself. I took Cody to a specialist and had a battery of tests and blood work done. Cody was finally diagnosed with Cushings Disease and was put on some very expensive medication. The medication seemed to do the trick for a couple of months. I brought my Dad up from Florida to live with us. He had Macular Degeneration and was unable to care for himself properly. Cody adored my Dad and my Dad loved him to death. My Dad was diagnosed with Pancreatic Cancer about the same time Cody was diagnosed with Cushings Disease. Cody gave my Dad a reason to keep living. Cody almost looked forward to me going to work so he could have my Dad all to himself. My Dad loved the other dogs but Cody stole my Dad’s heart. My Dad passed away in August of 2013, and Cody went downhill rapidly after losing my Dad. He kept sitting in his spot on the sofa just watching the door and hoping my Dad would come in. Cody would search the house trying to find him, but never did. It tore my heart out because there was no way I could comfort Cody or explain to him that my Dad didn’t abandon him, but he wasn’t ever coming back. Cody started acting out by eating things i.e. leather wallet, a cell phone in a leather case, a leather checkbook cover, shredding newspapers. Cody had never been destructive before, it was like he was trying to punish everyone for taking my Dad away from him. It was almost like he knew that my Dad was terminally ill and because he was also ill they could console each other in a way that no one else could. They both lit up the room with their eyes whenever they saw each other. Suddenly on Oct. 12th, 2013 Cody didn’t want to get up any more. He couldn’t seem to get comfortable and his breathing became labored. Thinking that he was possibly bloating we carried him out to the car and was going to rush him to the emergency vet. As soon as we got him in the car, he took his final breath, and went to be with my Dad. Cody had experienced so much grief in the last year of his life. He had lost Beau, two months later my husband passed away, a month after that we lost Annie, the next month we lost Molly, a couple months later we lost Jake, and the final loss was my Dad. 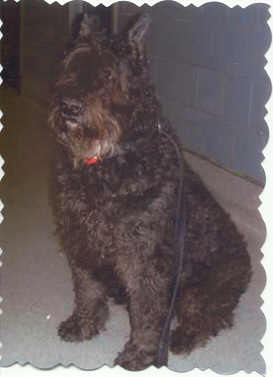 Cody was the “perfect Bouvier”. Protective, dedicated, loving, stoic, never demanding of anything. Everyone loved Cody, and he loved everyone back. Cody was my friend, my confidante, my shoulder to cry on. He was always there for me. When we walked down the street he looked so regal and grand. People would stop their cars to inquire about him. The perfect gentleman and one of the best ambassadors for the Rescue. Sleep peacefully my sweet baby and take care of all your brothers and sisters that went before you. I am sure you are up in heaven sitting next to my Dad and taking care of him. Love always, Mom, Captain, Stevie and Stella. We rescued Jake from Detroit Animal Control where he had been for quite a while with little hope of finding his owners or being adopted. We brought him into our rescue and put him up for adoption. We brought him from the farm out to Westland, MI to meet his possible new family. They took him for a walk and fell madly in love with him but decided he was bigger than what they were looking for and decided not to adopt him. For the short amount of time that he was at our home and with our other adopted rescues, we decided that he would remain with us. He looked so sad when the people he was trying so hard to impress left without him. I'm sure he thought he would be going back to the shelter. We loving nicknamed him "Jake - the happy humper". For some reason he would get so excited when he was around strange men that he would immediately "fall in love" with their leg. He never did that to women only men and inanimate objects. You couldn't have asked for a gentler soul. Jake was so loving and gentle to everyone. He gracefully welcomed every new rescue that we adopted and took them under his wing. He gave the softest kisses and just wanted to be close to you. 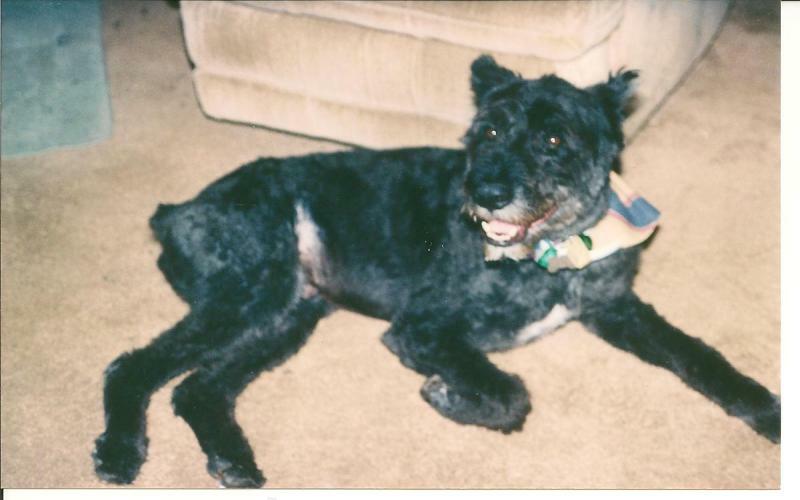 Genetically Jake was not a purebred Bouvier - but we never told him that. 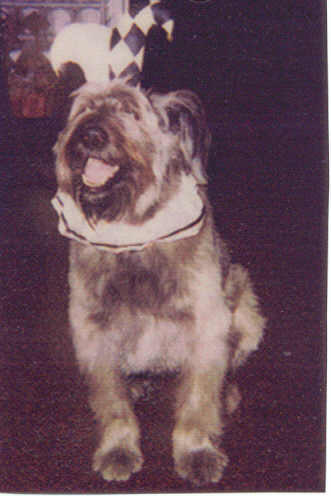 Most likely he was a Bearded Collie on the outside - but a Bouvier on the inside. Jake had the most luxurious coat. He used to love to get bathed, combed out and blow dried and stand outside on the deck and let the breeze flow through his soft flowing hair. He would look around at everyone as if to say "eat your hearts out". Medically Jake never had any issues. He outlived four much younger rescues that we had adopted after him. The last six months that we were blessed with his presence he did have trouble getting up and sitting down. He had to be assisted when he got up until he was able to stand on his own and walk. Up until the day before I had to let him go his appetite for food, water and treats never missed a beat. When I went to bed I would carry him up the stairs and put him in his dog bed in my room and carry him downstairs in the morning so he could go out. If he was left downstairs when I went to bed he would wake up and cry until I came down to get him - he just didn't want to be alone. I knew his days were numbered but felt that until he showed signs of pain I didn't mind the extra care he required. The night before we said goodbye was just like any other night. He laid down in his bed and went right to sleep only to wake up a couple hours later showing he was confused and in pain. He could no longer stand up and just wanted to be comforted. I gave him some pain medication so he wouldn't suffer until the vet opened and I could bring him in. I vowed I would never let him suffer - he deserved to go peacefully. I held him on my lap just loving and comforting him for about four hours. As long as I was touching and talking to him he seemed to be at peace and not in any pain. I held him in my arms as the vet administered the final injection. Jake was ready - he never even flinched when they put the needle in. He gave a couple of deep relaxed breaths, closed his eyes, and peacefully joined his brothers and sisters that had departed before him. I will always miss and remember his warm loving brown eyes, his gentle kisses and his warm cuddles. We rescued Koko from the Huron Valley Humane Society on January 31st, 2002. Koko was an exceptionally tall girl weighing in at 70# and looking like she hadn’t eaten in a week. Normally we made it a point to adopt the Bouviers that we took into rescue that we didn’t think anyone else would want to adopt like the old, injured, sickly or unsocialized ones, but we bent the rules because Koko, for some reason, looked at us like she really needed to stay with us. Koko was all legs, and just full of herself, but there was just something about her that made us decide to go ahead and personally adopt her and add her to our rescue pack. 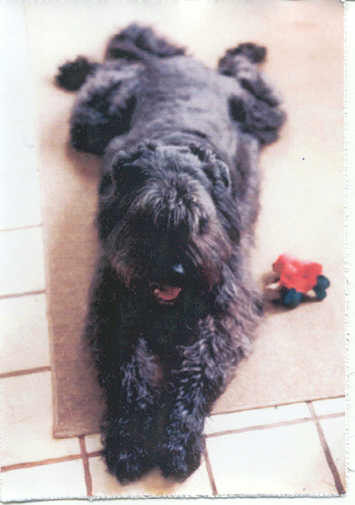 She fit in beautifully - and even though she was our youngest Bouvier, decided to be every one else’s mother. After a couple months had gone by, we found out why Koko was meant to stay with us. Koko had a major medical problem and we had her in intensive care and on IV’s for a month. She had somehow gotten fungal pneumonia, causing her spleen to enlarge and engulf her other major organs. It was touch and go for the entire month. The specialists couldn’t figure out what had happened or why. Her auto-immune system was severely compromised and we had her on cancer fighting meds for the next four months. Somehow, she pulled through and we got her from the 53# that she went down to - up to her final weight of 132#. We had spent thousands of dollars - and she was worth every single penny. Everything was wonderful until Christmas of 2008 when we noticed that her neck was very swollen on both sides. I rushed her to emergency, they suggested I take her immediately to an oncologist, they feared she had lymphoma. Regretfully they were correct and chemotherapy was started that day. After the first two treatments miraculously we found out she was already in remission. Although she didn’t want to eat a couple days after each treatment - Koko was doing fantastic and was acting like her old self. After her fourth treatment, she didn’t want to eat and we took her back to the specialists and they put her on IV’s and gave her fluids. The next day she started to have nosebleeds so we rushed her back to the oncologist. Except for her nose bleeding she was active, alert and very loving when I left her at the oncologists. They were going to give her plasma the next day and I was hoping to bring her home. Koko had a major set back the next morning. The oncologist called and said Koko was going down-hill fast and it would be a good idea if I wanted to see her to come immediately. I broke all the speed records and when I got there I could not believe it was Koko. They had her propped up on pillows, packed in ice packs, on a heart monitor and on oxygen. Evidentally her auto immune system had completely failed and she was bleeding-out internally. I had to make the heart wrenching decision to let her go. I just couldn’t put her through anymore pain and suffering. I crawled into the cage with her and held her and told her how much I loved her, and because I did love her so much that I couldn’t bear to have her suffer any longer. Even though she was practically comatose I know she knew I was there because she gave me one of her soft little groans like she used to give me when I tried to get her to move over and make room for me to get into bed too. Koko went quickly and peacefully. We were blessed with Koko for six short but loving years. Everyone was always so impressed by her gentleness and loving personality even though she was such a big girl. Even the specialists remarked that she was one of the gentlest and most trusting dogs that they had ever worked with. Koko has left a tremendous hole in everyone’s heart that knew her and loved her. She was our friend, our companion, the love of our lives and we will never forget her. We are left with many, many loving memories I just wish there could have been more. Sleep peacefully our loving and gentle girl, we will love and miss you forever. Mom, Dad, Annie, Jake, Mollie and Cody. We found Missy running down the middle of the highway during a blinding thunderstorm. We opened our truck door and she hopped right in. The poor thing was scared to death. We took her to the vet and found that she had been beaten half to death and had pinched nerves in her back and her teeth were all loose from being overbred and malnourished. 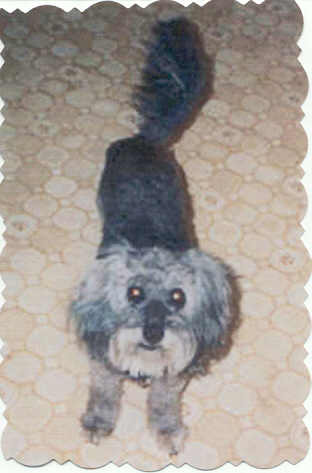 Missy became blind and deaf about eight years prior to going to the rainbow bridge. 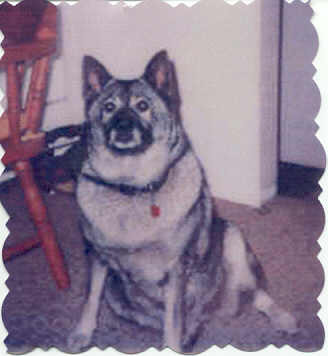 Our Norwegian Elkhound, Tonya, was her eyes and ears for those eight years. When Missy went outside, Tonya went with her. When they were done, Tonya would bring her back to the door to come in. Missy had a stroke the day before we had to have Tonya put to sleep. They were put to sleep together and buried together. Mollie was found running loose in an apartment complex in the bitter cold of winter. She was taken in by a good Samaritan - who in turn called us to see if we were interested in rescuing her. Mollie was only about six months old when she was found. 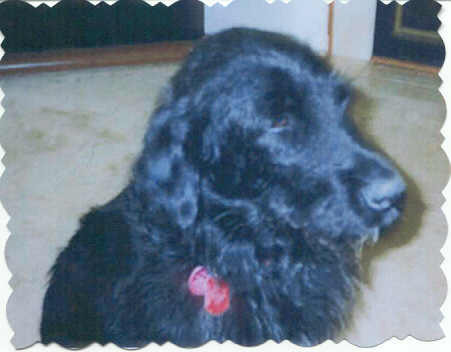 We received the call the same day we lost our beloved “Gentle Ben” to bloat, 1/8/02. 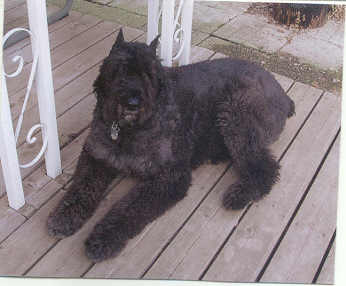 When we got her she was just a bundle of excitement, a regular “energizer bouvier”. We took her to the vet because she limped terribly. Evidently both of her hip sockets were deformed and the only way to correct it would be with a double hip replacement. Because of the expense, we decided to keep Mollie as our own because we didn’t think anyone would want to adopt her. As long as we kept her weight down, her hips didn’t present a problem. 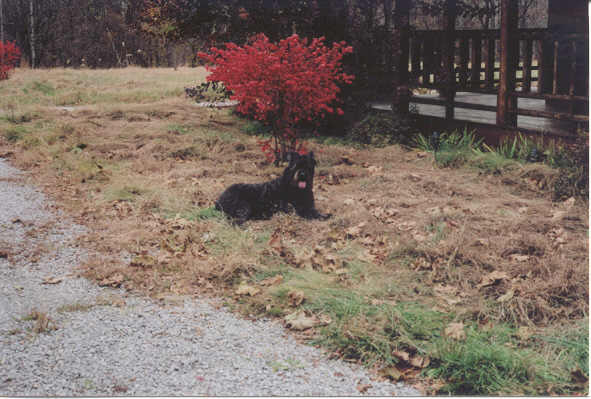 Mollie was a small Bouvier but what she lacked in size she more than made up for in demeanor. Mollie thought she was a guard dog and would take on anyone or anything. She was an absolute love to the people and dogs she knew, but was an “in-your-face” dog to anyone else until she accepted you. She had a ravenous appetite and would eat anything that didn’t eat her first. On 12/21/11 Mollie decided she didn’t want to eat anything and was breathing rapidly. I knew something was wrong when she stopped eating. I took her to our vet and they did x-rays and it was recommended that we take her to Michigan Vet Specialists for an ultrasound - which I did immediately. Regretfully we found out that Mollie had histiocytosis (a rare form of lymphoma/cancer) and it was inoperable and incureable. We decided to put her on chemo pills because other than her loss of appetite and rapid breathing she was the picture of health. We knew we were not going to have her for long but wanted her to have quality of life for as long as we could give it to her. Mollie regained her appetite and her breathing slowed down and she was back to her old self with the help of the antibiotics and medication. Mollie did great until the day before her fourth chemo pill when she decided she didn’t want to eat again and her breathing was rapid again. I took her back to see the oncologist and it was decided that she had given it her best - but the cancer had won - she had masses in her lungs, spleen, liver and kidneys and her lungs were filled with fluid. As hard as she tried and as much as I loved her I had to make the unselfish decision not to let her suffer any longer. Mollie was almost ten years old but still looked like and acted like a puppy. It was a very tough two months for all of us. The day after Mollie was diagnosed my husband was taken to the hospital and put on life-support for a week - we had to say goodbye to him on 12/28/11. Then on 1/26/12 we had to say goodbye to our old girl, Annie. Now just short of a month since losing Annie I had to say goodbye to Mollie. I owed it to Mollie to let her go be with her Dad and other rescued brothers and sisters that had gone to the rainbow bridge ahead of her. As I have with all my babies, I held Mollie in my arms and lovingly talked to her until she took her final breath. Thankfully she went to sleep quickly and quietly - she was ready - I was not. As a very dear friend told me, “Whenever she thinks of the Rainbow Bridge she envisions a creek flowing under the bridge that is overflowing with the tears shed for the companions we have lost”. How true. Sleep peacefully my sweet Mollie, until we meet again You will be in my heart forever. Love always, Mom, Jake, Cody & Captain. We acquired Sarah by accident when we went to visit a co-worker on our motorcycle. While visiting his upstairs neighbor began beating his dog senseless. We told our friends that if they could get the puppy away from the neighbor that we would be more than happy to come and get her. After arriving home we received a call from our friends, they had little Sarah and were bringing her to our house if we still wanted her. After taking her to the vet we found out that she had every worm imaginable and she had nothing but kitty litter in her stomach. Evidentally she forged for what ever food she could get in her little mouth - and the kitty litter pan happened to have looked inviting. She was so shy and afraid that no one even knew we had her for the first six months. She turned out to be the most loving dog you could ever imagine. One evening she had a seizure and went into a coma. We rushed her to the vet and she was still alive, but there were no brain functions. After keeping her on IV's all night we had to make the decision to let her go. She wasn't aware of anything that had happend the last twelve hours of her life. She went very peacefully because they injected her while she was still in a coma. 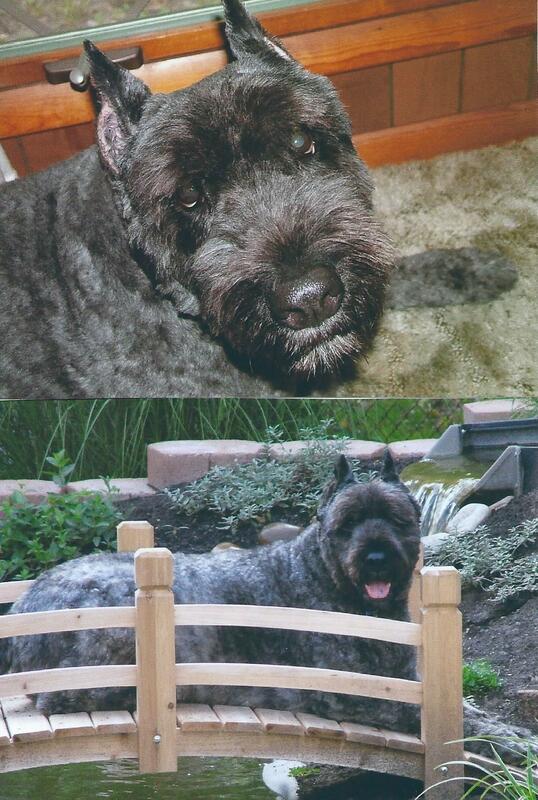 (April 19th, 2009 – April 14th,2014)His cremains will be laid to rest at Garden of our Little Friends - Westland, MI. Stevie was surrendered to us along with his sister Stella on 9/6/12 (my birthday). While grooming Stevie I noticed a huge growth (the size of a grape) on the top of his left rear paw. I immediately took him to the vet and found out it was a basil cell tumor and had it removed. Because of the size of the tumor they had to make expansion-slits on both sides of his foot so they could safely close the incision with sutures. I’ll never forget the terror in his eyes when the vet first took him from me to be hospitalized. We ended up having to carry him into the back room because he was NOT going to let me leave him behind without a fight. He was so glad to see me when I came back for him after his surgery that he physically jumped up into my arms, wrapped his paws around my neck and held on to me for dear life, all trembling 88# of him. He sat on my lap, trembling and vocalizing all the way home. Such a loving and caring dog, not a mean bone in his body, but I could not leave his side. A few months later I found another basil cell tumor by his shoulder. Once again he had to go in for surgery and he reacted the same as he did the first time I left him. As friendly as he was with everyone he would not let anyone else take him anywhere on his leash. He would sit or lay down and he would have to be physically picked up and carried by the vet. After realizing how terrified he was of being abandoned again I made the decision that I would adopt him and his sister myself. I just couldn’t bring myself to putting him thru that experience of being abandoned ever again. Stevie was the picture of health until a couple of days before he was to go in for his heartworm test and vaccinations. He began to cough very deeply (like a goose) so I had the vet do x-rays suspecting the possible onset of pneumonia or some sort of obstruction in his throat. The x-rays did not look good, his right lung was completely clouded and I was referred to a specialist. Once again Stevie had to be left at the specialist’s office so they could run a battery of tests – he was not a happy camper. I picked him up three days later and they thought he had pneumonia, so I took him home with medication. For almost a week Stevie would hardly eat anything and his coughing continued to get worse. Now he was coughing up blood, sounded very congested and occasionally would have blood running from his nose. Back we went to the specialist and they put him on oxygen, took more x-rays, did needle aspirates of his lung and ultrasounds and kept him three more days. They said they had him off oxygen for two days, he was finally eating and was even going outside to eliminate, so I could come pick him up again. When I picked him up they said they suspected either lung worm (highly unlikely), severe respiratory infection, lung disease or lung cancer – but didn’t know for sure, so they ran more tests and put him on another medication. I brought him home again, he was eating like a horse, very active but the congestion, coughing and bleeding came back. I was beside myself because after paying the specialist over ten thousand dollars in three weeks, they still had no answers. The evening of the 14th, Stevie began acting very terrified. He was having a very difficult time breathing and just wanted to be touching me. I couldn’t leave his sight. I was so afraid he was going to strangle on his own blood or due to the stress he would bloat. I couldn’t put him thru anymore poking, prodding, going back and forth to the specialist. He had gone thru so much and still no answers. The specialist’s only answer was they still had no idea so if he got worse to euthanize him. I had to make the dreaded decision to let Stevie go, I couldn’t bear the thought of him choking to death or me not being with him in his final minutes. He willingly walked out to the van, jumped in and we headed for the emergency clinic. He was having such a hard time breathing he didn’t want to sit or lay down so my sister held on to him while I drove. He willingly got out of the van and walked into the clinic, still coughing and gasping for air. He just kept looking at me with those beautiful big brown eyes of his as if he was pleading with me to please help him. My heart was breaking but I knew that he didn’t deserve to suffer any longer. None of the medications were working and there were no definitive answers. When they took him back to prepare him they had to sedate him first because he was struggling so hard to breathe. When they brought him in for our final goodbye he was so confused and scared, but settled right down as I cradled him in my arms, kissed, hugged and petted him and told him how much I loved him as he took his final breaths. Just five days short of his fifth birthday and he was gone. Stevie was such a clown, so affectionate. He was always into something, but you couldn’t be mad at him because he always gave you such a “soulful look”. He was so bonded with his sister. They had to be touching each other or laying on each other whether they were awake or asleep. He was so inquisitive of any strange sound or movement, he was just amazed with life and wanted to live it to the fullest. He was such a joy to be around. Stevie brought sunlight and happiness to the gloomiest of times. Sleep peacefully my sweet angel. You will never be in pain or afraid of being alone again. You will be in my heart forever. Love always, Mom, Stella & Captain. We received a call in the middle of the night from a friend whose neighbor had a male and female Norwegian Elkhound and two puppies. Evidentally the owner got drunk and decided to shoot the dogs because they were barking outside. He shot the parents and the brother, but Tonya was smart enough to run under the man's brand new truck and hide. Our friends went over and got her when they heard her crying and gave us a call to please come and get her. Tonya was sent to us from heaven. You couldn't have asked for a more loving dog. She played "little mother" to every dog we took in. Out of the blue, Tonya started to stumble and look disoriented, so we took her to the vet and found out that she had an inoperable brain tumor. 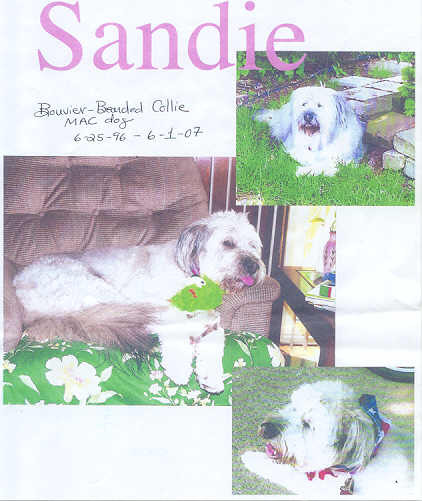 We made arrangements to bring her home and return the next day to have her put to rest. She was put to sleep and buried with her best friend, Missy. It is with deepest regrets that we all have to bid our final good-bye to Abby. She was originally abandoned at a shelter in Cleveland, OH 11/00. 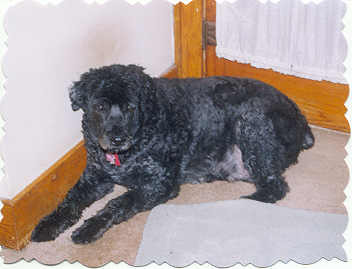 Abby was adopted by a wonderful and loving family in March 2001. Here is a brief memorial (as written) by her grieving owner: "I miss her so much, but have to be strong and deal with losing her. Trigger (her companion) is laying at my feet and insisting that I stop and pet him. He has been staying very close to me, more than usual. The other night he brought me a biscuit and set it at my feet, trying to console me. Abby's vet said that she and I were a match made in heaven. She would not let anyone get near her, except Warner, and loved Trigger dearly too. She was with me for two years and five months. I sat on the floor with her, with her head in my lap until her rapid and labored breathing finally stopped. Maybe she is with Warner now. She gave me much happiness and unconditional love." Joann lost her loving husband, Warner, last year. This year she lost her beloved Abby. Our hearts go out to Joann because of her tragic losses. Hopefully the loving and endearing memories of her lost loves will see her through this. 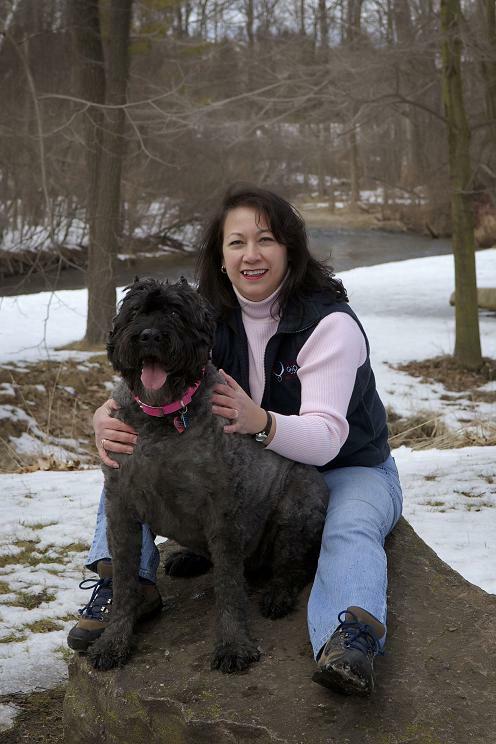 Our sincerest condolences to Diane & Ron Hopp (and Jake) on the loss of their beloved Betsy. Betsy was our very first rescue since forming this group and will always have a special place in our hearts. We received an email from Dianne and Ron a couple of weeks ago letting us know that Betsy was diagnosed with inflammatory mammary carcinoma, a very agressive form of cancer. The only humane option they were afforded was to love her as much as they could for what little time she had left - which they did. I received a call from Dianne 1/25/02 letting me know that Betsy had a very rough time the day before and they couldn't bear to let her suffer any longer - and decided to put her to rest. They could not thank us enough for giving them the opportunity to have Betsy in their life for the short time that they did. We in turn can never thank them enough for giving Betsy the love, devotion and companionship that she so justly deserved. She has now crossed the Rainbow Bridge and will loyally await the arrival of her beloved "savior" family. We adopted Bubba in 1995 from Maryanne when he was two, maybe. 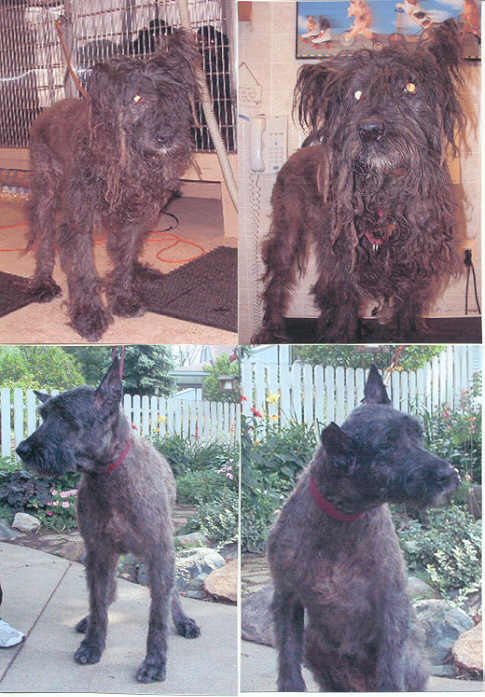 He had been found wandering in Oakland County, filthy and starving. No one knew his history. It took a hot dog to lure him out of the backseat of our Civic when we brought him home. But, he soon sized up the situation and took advantage of us for the next ten years. He took a walk or two everyday until the very end. Very painful arthritis in his back leg finally slowed him down. Bubba ate well until he was diagnosed with pancreatitis two years ago. We got him at 68 pounds, but he put weight back on and spent most of his life around 82-84 pounds. After the diagnosis, we switched to a strict rabbit and potato diet that suited his digestive system better. My wife and I do not have children, so Bubba was our baby. And he knew it. Not a day passed where he didn't have his way with us. It's been a week now; we are lost without him. When I saw Buddy on your website I was instantly drawn to him. I thought he was just the cutest "little" thing. When my husband and I drove to Michigan to adopt him I was very surprised to see that my Buddy was a much bigger dog than I had thought. I had reservations for a second. We had never owned a dog weighing more than 20 pounds and standing over ankle high. But as we led him to the car and he wouldn't ride any where but in my lap all the 200 miles home any reservations I had were just a memory. I will never forget when we pulled into our driveway my neighbor stood back and said, is that Buddy? I thought he was a small dog. I am still teased about my little dog from Michigan. We will always remember Buddy for his love of food, that at times had us falling over him in the kitchen while preparing a meal and our inability to open the refrigerator door because he would block it in his excitement to eat. He wouldn't stop barking until "he" thought he had enough to eat. Buddy loved his evening walks. They probably saved him from weighing 150 pounds. He loved his rug in the family room where he slept during the day and his matching rug outside our bedroom door where he slept at night. But most of all Buddy loved his family. 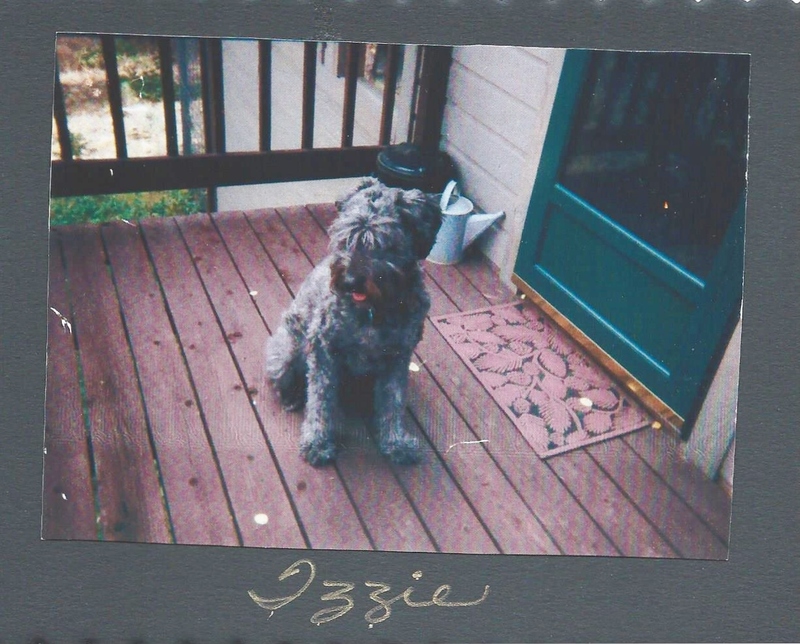 He was a gentle, loving and uncomplicated dog who brought us much joy. The last three months of Buddy's life was filled with much physical pain. He fought a good fight. Sadly he lost in the end. Good-bye our good loyal friend. Rest in peace. We love you! Thank you for brightening our lives! 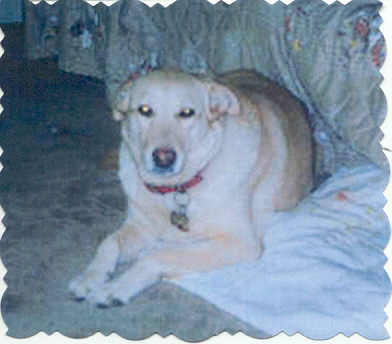 Casey passed away 9/26/10 while in surgery for bloat. The family is very grief stricken and hart broken, but they really appreciated every day they had with Casey. He was a special dog and a joy to have around. If I had one wish it would be for one more day. You and Dad running all over the place. And knew you were the boss. With balloons tied to your head. "Look Mom, it's Beethoven" they said. You were famous and had paid your dues. We love you Casey, You'll always be our big, good, boy. 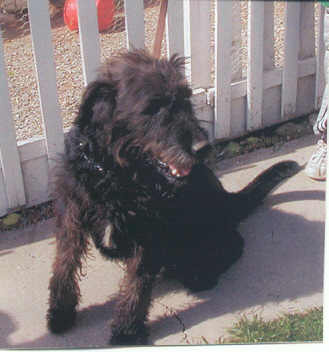 A bouv/irish wolfhound mix, was one of our first "pilot" rescues from "death row" at the Genessee County Humane Society. The vet estimated he was 12+ years old, had tumors all over his body and a massive tumor on the left side of his head that wrapped around and down the bridge of his nose. 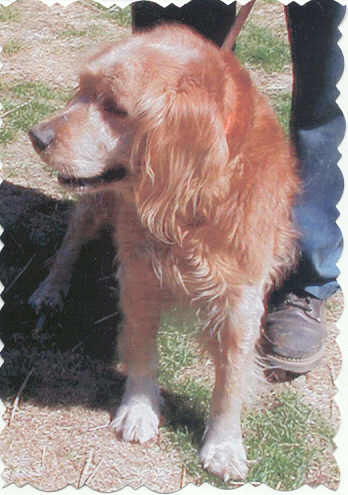 Clifford was a very loving and affectionate dog and probably devoted the best years of his life to his prior owner. It was such a shame they never bothered to look for him. Once the Ousnamer's heard of his plight they, once again, opened up their loving hearts with the sole intention of making his last days on earth his best days. They gave him four months of love, he gave them wonderful memories that will last forever. They did not want him to suffer and when his time came they had him put to rest. Clifford touched every heart that knew him and will be long remembered. We bid our fond farewells to this precious little puppy. In the very brief amount of time that we were all blessed with his presence on earth - he touched so many lives. Duffy will be especially missed by Sandy (his Mom) and Archie (his Dad). What Duffy lacked in size he more than made up for it in stamina and energy. Duffy was a breath of fresh air, his energy and excitement were contagious. You could not be depressed when Duffy was around because he was always such a joy to watch. He was like the little ball in a pinball machine, everyone he touched would just light up and the bells and whistles would go off. Duffy went everywhere with his Dad, even to work. Duffy will be sadly missed, but always fondly remembered. It seems like only yesterday that we picked Dutchess and her sister Schmay up in Grand Rapids, MI. Her original owner moved and left them behind. Much to our surprise when we brought them into the vet we found out that Dutchess was going to be a Momma. 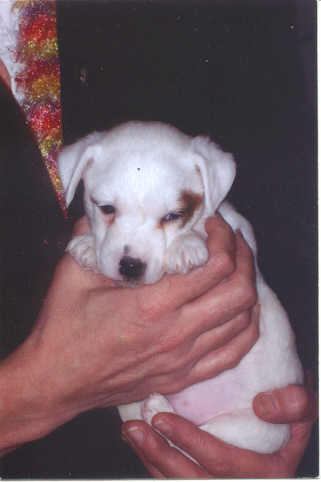 On 1/21/03 Dutchess blessed us with eleven of the most beautiful puppies you could ever imagine. Prior to her giving birth to the puppies a very loving and compassionate family in Warren, MI decided they wanted to adopt both Dutchess and her sister Schmay. 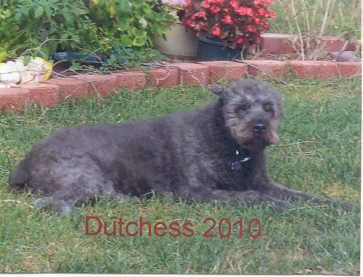 They took Schmay home, but left Dutchess in our care until after she had her puppies weaned. This fantastic family would bring Schmay out every weekend to visit her sister until she finally got to go home with everyone. Dutchess lived a wonderful life with her sister Schmay, brother Boy (Lab), and the newest family member Kia (Rottie), who to this day still go out in the yard to look for her. Dutchess was the perfect lady and mother to everyone. In her lifetime she not only blessed the loving family that adopted her, but also touched the hearts of eleven other families that were blessed to adopt each of her puppies. Dutchess will be greatly missed by all that knew and loved her and will be welcomed with open arms at the Rainbow Bridge. Beloved and devoted best friend of JoAnne and Warner Hoffmeyer - thanks for the wonderful memories - you will be in our hearts forever. Flanders was rescued from the Harbor Humane Society in West Olive, MI on 2/7/04. She was a wonderful loving girl, and as you can tell was in desperate need of a bath and grooming when we picked her up. She was housetrained and just begging for some warm arms to hold her. Regretfully, Flanders tested heartworm positive, but we had her successfully treated. When we took her back to the vet for her check-up they found a hard tumor in her groin area which was diagnosed as cancer and was determined inoperable. Flanders was made a permanent resident at the rescue farm. We could not put her up for adoption because we knew she was not going to be with us very long. The tumor grew, and so did our love and fondness towards this sweet girl. After all she had been through it was such a shame that she was again dealt a deadly blow. Flanders ate well this morning and when it came time for her second feeding and she didn't come we went to look for her. She was found curled up on her blanket, never to wake up again. Flanders will be buried at the rescue cemetery on the farm that she loved so well and knew as home. She is gone - but will never be forgotten. We only had her for a mere 15 months but gave her a lifetime of love and affection as she justly deserved. 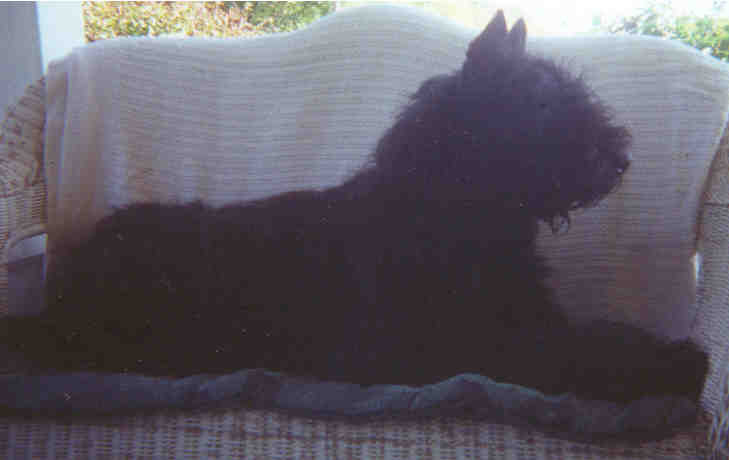 "Getty" (U-Getta) passed away in her sleep 1/1/03. There were no indications of discomfort or pain, she just went to sleep and never woke up. She will be laid to rest at our rescue cemetery along with the other animals that have preceeded her to the Rainbow Bridge. 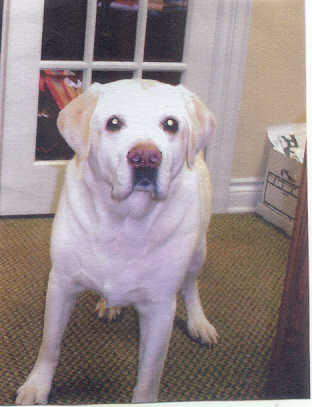 We rescued Gilligan on 3/21/05 from the Oakland County Animal Control. Gilligan was found as a stray and tested positive for heartworm. 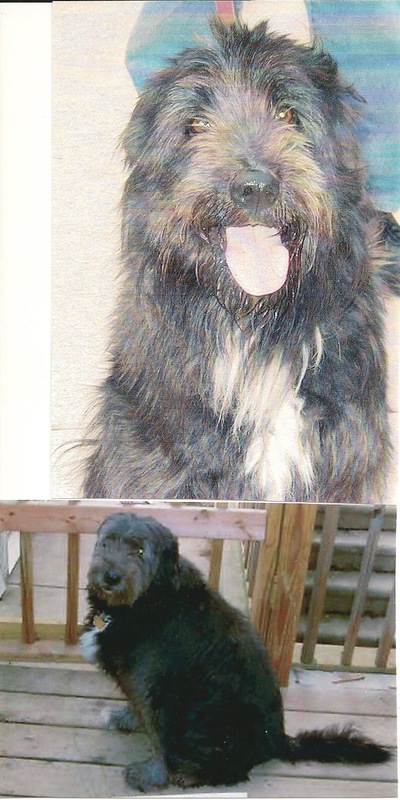 Because of everything that Gilligan has gone thru, the very painful heartworm treatment, the tumor surgery, and the expectation of being adopted by two different families that changed their minds and never bothered to let us know, we decided to make Gilligan a permanent resident of Second Chance Bouvier Rescue. He was such a wonderful and loving boy and would have made anyone a perfect companion. We could not see his heart being broken again by another family coming out and letting him think he was being adopted only to have them change their mind and go home without him again. Gilligan never really recovered from the tumor surgery and we suspect his cancer had progressed. We found him this morning, curled up on his blanket, in a very deep sleep. After trying to arouse him, we realized that he had peacefully passed away in his sleep during the night. Considering all the pain this stoic gentleman had gone through, thankfully he was taken to the Rainbow Bridge painlessly. 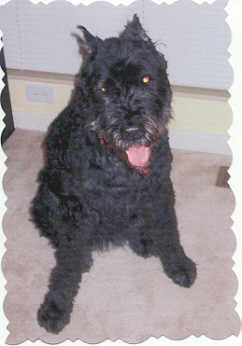 In September 2000, My husband and I adopted your first bouvier Ginger (Gretchen). We remember the day we brought her home. She was quite thin and reserved, but she came out of her shell within a few days of being with us and fattened up quickly. She blended quite well with our other 2 dogs - Smokey and Percy. We gave her much love and attention, which she deserved and never took for granted. She was gentle and loved children. She was protective of her family, including Smokey and Percy. 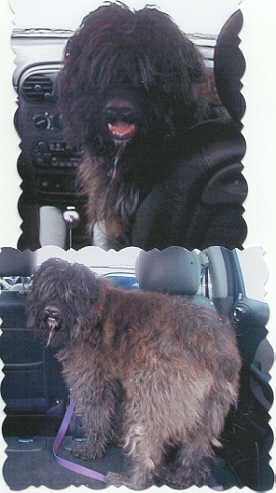 She loved to go for car rides and walks (perferably car rides - too much exercise in walking) and always wanted to be with us. Well, with deep sadness, I am here to tell you she passed away on Friday, March 17, 2006. She went to the vet for surgery to remove cancer from her toe and she died under anesthesia. We miss her so much!!!! She brought more joy to our family than you can imagine. 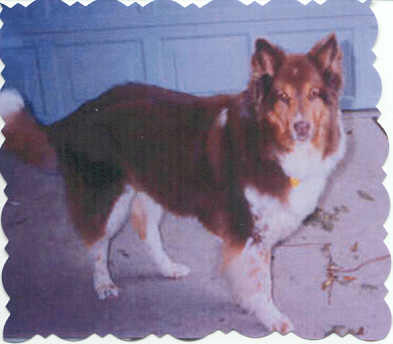 Ginger was a unique dog with many special qualities. She will be missed by many. There won't be another Ginger ever. A donation has been made in memory of Jefferson by a very dear friend of his. Jefferson was the love of his Dad's life. He was his Dad's life, love, beloved companion and best friend. Jefferson blessed his Dad with twelve unforgetable years of love and devotion. Twelve years seems like a long time when you are looking forward but is just a fleeting moment when you are forced to look back on it. Thankfully there are many, many wonderful and loving memories of Jefferson to help Keith move forward. There will always be a void left in his heart, that will never be able to be filled by anyone or anything. 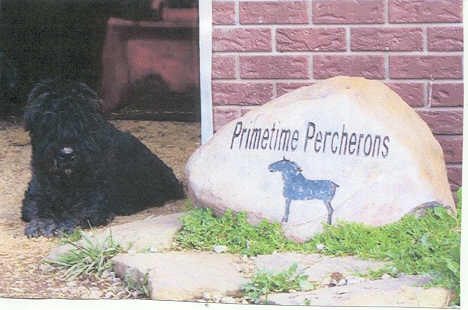 Second Chance Bouvier Rescue offers our sincere condolences on Keith's loss of his best friend. Hi, my name is Hobie, and I am a very good boy. I am a ten year old rescue - and I desperately need your help. My Mom & Dad have already spent over $9000 on my medical care. I was treated for Lymphoma and have been in remission until last month. Everyone thought I was doing fine, running, playing, just being my normal lovable self - until I passed out for no explained reason. My Mom and Dad rushed me to the Emergency Vet and were told that a large mass showed up on my x-ray. I went to an oncologist, and the good news is that there is no large mass. The bad news, is that I have an enlarged spleen due to the return of the lymphoma, and I require at least five more chemotherapy treatments. These treatments will cost about $2100 more. The best news, is that there is a very good chance these treatments will put me back into remission. My parents called Second Chance Bouvier Rescue asking for their help, or any suggestions as to how they could get assistance towards my medical bills. Mom and Dad are financially tapped (and still owe) due to my previous medical bills. They love me so much, they can't bear the thought of calling it quits now, or the thought of losing me after all I have already overcome. UPDATE: Our condolences to the Scott family. Hobie lost his courageous battle to cancer. We would like to extend our gratitude to everyone that sent donations and prayers on Hobies behalf. Hobie gave it his best, right up until his final days. We received this letter along with a generous donation in Memory of Huey: "I appreciate your spending the time to tell me about your group's efforts to protect and place needy Bouviers into new loving homes. 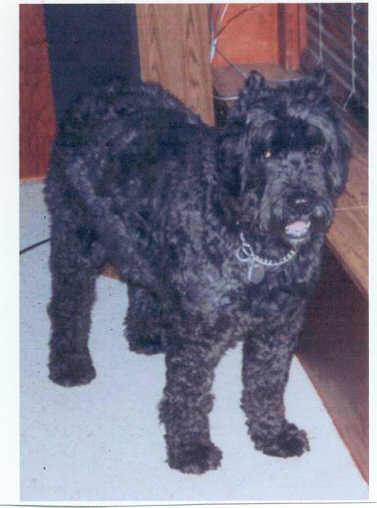 As we discussed I am enclosing a donation on behalf of my friends, Debbie & Vince Mamone, in memory of their wonderful and dearly loved Bouvier, Huey. I knew him from when he was a little puppy, although I should say young puppy, because he was a very big bouncing baby boy, who grew into a huge and awesome adult, and I can tell you that he was all heart. Huey was a cherished member of the Mamone family and they slept in the palm of God's hand with Huey watching over them for all of his 12 years. I would appreciate your putting some information about Huey on your In Memorial web page, and by copy of this letter, will let Debbie & Vince know where to send a photo of Huey, if they would like to do so. I know your members and visitors, all who love Bouviers, would appreciate hearing about him. It is good to know that in Huey's name, his needy relatives will benefit from your kindness. Sincerey, Mary Alice Moran - Walton Hills, OH"
You gave me nearly nine years of your friendship and companionship. We would play in the house and yard together and also walk the neighborhood. The people would always comment on how well behaved you were. I am deeply grieved at how the end had to come, but I could not see you suffer longer than necessary. 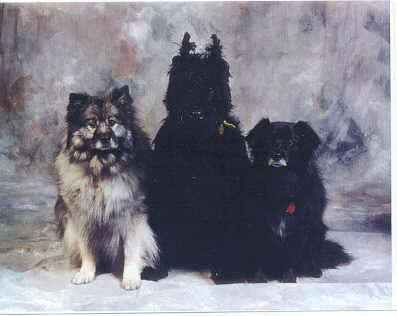 I know you are up in "Dog Heaven" with your predecessors: Snoopy, Happy, Buck and Spencer. Take care and some day we will be re-united forever at the "Rainbow Bridge". 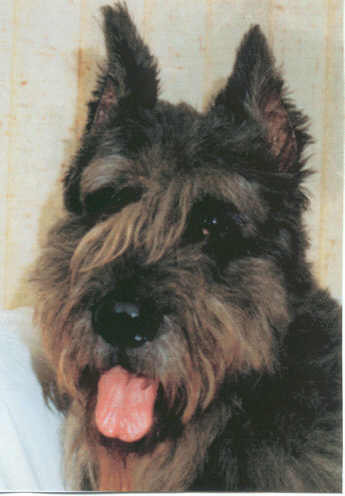 Jacques was a faithful, loving dog and companion. Jacques went to the Rainbow Bridge on Friday, May 16th, 2008. Jacques was adopted on 1/23/01 by a very loving family. His faithful teddy bear, Starburst, and Mom & Dad (Angie & Curt) were there for his last moments. This is a picture of Jacques in "his" beautiful garden not long after he was adopted. There were numerous pictures to chose from, but we felt that this is the way we would all like to remember him: happy, healthy, exhuberent, full of curiosity and loving life. Jake came into our lives as such a curious boy, at the young age of ten weeks....and ready to explore the world! No one was ever alone in the house after that, Jake made certain to follow you wherever you went. He had a habit of winning everyone's heart that he met. When we learned of his tumor and that he only had a short time left with us, he gave it his all to stay with us through Thanksgiving. That was his favorite holiday because, you see, as a herder, he always needed EVERYONE in the same room. His wish came true, as all our friends and relatives gathered, just to be with the boy one last time. He was allowed to stay under the table during Thanksgiving dinner, so he could watch everyone's feet all in a tight little circle, all together (a blissful moment for my boy)!!! Mom was the hospice giver for the last three weeks, and Jake never complained about the medications, shots or constant need to go outside. It was only the last 15 minutes that he was uncomfortable, and he left this world in his Mom's arms with his family, Nick (his human brother), his Mom & Dad and his companion dog Molly Brown, at his side. We need to give a BIG thanks to everyone at the Cross Plains, WI - Pet Care Clinic for all their effort and loving help with Jakes' last days. "Jake you will be missed and loved forever!" Your loving family, Lisa, Tom, Nick, Andy and Molly Brown (the Lab/Chow girl). 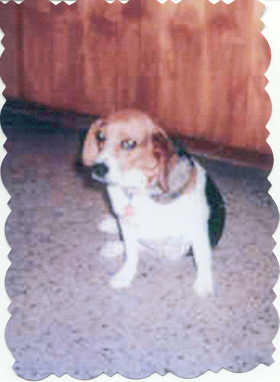 We rescued Janie on 2/18/03 from the Oakland County Animal Control. She was picked up as a stray. Janie was such a sweetheart from day one which was amazing since she had such major problems going on within her loving body. When we took her to our vet to be examined, thinking that she was very pregnant, the x-ray showed a huge mass on her spleen. Due to the basketball sized hematoma engulfing her entire spleen, she was very anemic. The hematoma and spleen had to be removed and she was spayed at the same time. It took two blood transfusions to save her - and we almost lost her twice. At the same time we found out that Janie had cataracts and needed a mammary nodule removed - which we decided to do after she had recovered from the first surgery. Janie bounced back slowly. When we took her in to have the mammary nodule removed the vet suggested that we take her instead to a cancer specialist because it appeared highly suspicious. A couple of days later we took her to the specialist, had the tumor removed and biopsied. The tumor was malignant, and the cat scan showed that the cancer was spreading to other parts of her body. Neither chemo or surgery were an option. We could only hope to keep her as comfortable as possible for as long as we were blessed with her company. Because of her medical problems and terminal prognosis she was adopted by the president of our group and she remained on the rescue farm and was loved and cherished for another eight months. Such a gorgeous, loving girl that deserved so much more than what life had given her. She never complained, appreciated everthing that had been done for her and on her final day she decided it was time for us to let her go. Janie was buried on the compound where all of the other rescues and personal pets have been buried. A true lady to the very end. Dear sweet Judy. All she ever wanted was someone to love her in her senior years. She was found tied to the front of the animal shelter in Ohio. No collar, no note, not even a name tag. At first glance they didn't know what she was because of the deplorable condition that she was in. Thankfully her guardian angel (who we named her after) did. Judy was a perfect example of our "throw away society". As you can see from the pictures, she was a definite "diamond in the rough". You couldn't have wanted for a more loving dog and companion. Judy got along with everyone and everything. We were really hoping to find her a "special family" that she could spend her golden years with. Judy waited patiently, watching the rescues come and go - but her turn never came up. Finally Judy was adopted by the president of Second Chance Bouvier Rescue. Because Judy took so long to come out of her shell when we first rescued her and to realize that she was put on this earth to love, we just didn't have the heart to confuse or stress her anymore by putting her through an adoption. Judy adapted very well to the rescue farm and that's what she knew as her home. We never knew for sure exactly how old she was, but could only go by what the vets thought. Judy was a grand ole' girl and will be missed tremendously by all of us as well as the other "permanent resdents" on the rescue farm. We loved her for as long as we were able to and she loved everyone in return. She may have had a lousey beginning but she was not alone or unloved for a second while in our care. In loving memory of Sir "Kercheval" Musial. On December 5th, 1993, William and Cheri Musial rescued Kercheval from an abandoned life on the streets. Kercheval lived a life many dogs only dream of, he spent his days as Cheri's co-worker at Pointe Pet Supply, Grosse Pointe Park, Michigan. He was the offical tester of all treats, foods, and toys. On weekends he would go for long walks at East China Park, his absolute favorite past time. So as Kercheval will be dearly missed, please keep William and Cheri in your kind thoughts as "Kerch" has left his heaven on earth to join the heavens above. Donation made by: Tom, Bonnie, & Morgan Jones, Bill, Cheryl, Cole & Zach Musial, Sony, Saki and Mai Tai too! We received a generous donation in memory of Kona Bendure with the following note: "In memory of Kona Bendure, you enriched the lives of the humans and dogs who you touched. Max & Casey Bendure"
We adopted Levi from MaryAnne Harvey in August 1995. He had been running on his own, leaving the poor boy emaciated and not very trusting. As he filled out he realized that we were his forever home and gave us so much love over the last ten years. Levi had some health struggles in the last few years. We were happy to drive him up to Michigan State and multiple area clinics to help him feel better. Levi did enjoy life with puppyish enthusiasm after all his various treatments until last month. He let us know when he was ready to go. Lovingly, Margaret & Gene Szedenits, Jr.
"Levi Szedenits was a great and beautiful soul. His friens and family will miss him". Lily finally made it home to the Rainbow Bridge this evening. She was born and raised in Canada. She was most likely given up by her breeder because she had mammary tumors and was no longer considered "breedable". We had her tumors removed and she was just waiting at the farm for someone to take her into their loving home for what little time she had left. Her wait is now over - she passed away at the farm - the only place she could call home - and where she was loved. Merlin had been going downhill for several months; aunable to climb the stairs and less and less able to walk the usual distance on his walks. He developed mysterious siezures and was put on medication, but it did not help. He was given a wonderful life and loved for almost six years. Merlin had beat the odds he had cancer twice and bounced right back. His Mom wrote in her email "I have concluded that one of the things Merlin taught us was the importance of rescue, so before too long, we will want to take in another rescue dog." "We feel blessed that he was in our lives - if only it had been longer". 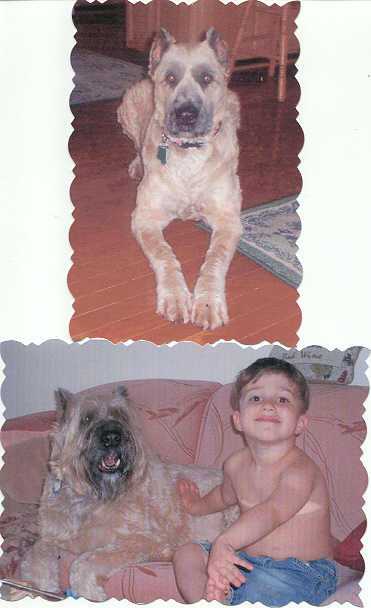 MOOSE Dec 25th, 1989 - Sept 24th, 2000 THE JOY OF MY LIFE When I count my blessings - I count you twice. I will keep you forever in my heart. (Email received with memorial): Jan & Bill: Where do I begin? How do I begin to tell you how I feel today? To quote my 81 year old mother, she said she has never in all her years met people like you. She had her doubts about my giving my birthday money to "strangers" before she met you. That was one of the reasons I brought her with me. Now she is praying she wins the lottery so she can share it with your rescue. I hope she does too. When we got back to her house she went on and on to my Dad. My husband came over and she continued on with him, and me. I just smiled, because I knew that I found the right people before I even met you. Meeting you was an absolute pleasure. The time flew by. You just made us feel so much "at home" that we could have overstayed our welcome. Throughout this past year I have really grieved over my beloved Moose and have done things that I just had to do to make myself feel better. Nothing really worked. Some helped a little. By the time my birthday rolled around, I knew that you were my cause. And what a gift I received. That money was from my husband, son and parents. Last night after meeting you, I felt different than I have all year. I felt at peace, finally. All the things that I had to do all year never really did give me that feeling. That is what I needed. Peace. I got to meet some really great people and help some really great dogs. Quite a legacy for my Moose, too. He gave me so much while he was alive and gave me something really special yesterday too. YOU!! We will definitely see you again. God Bless you and thank you. I wrote most of this through tears, but for once, the tears weren't over Moose. I will be in touch. Love from Kathy and family. For the very breif time that we were blessed with her presence - she will leave nothing but endearing and loving memories for us all. Such a gentle soul that will be missed by everyone that was fortunate to have known her. My Dearest and Beloved Savannah: When I first met you, you didn't even look like a dog. You were so very thin with no hair and clouded, depressed eyes. You were so full of fears and phobias. The huge scabs that covered your body held many untold stories. People thought that I rescued you from that horrendously abusive situation that tormented you for the first two years of your life. We know that is was you who rescued me and gave me warm and unconditional love. You always accepted me, no matter what. My lonely weekends and holidays turned into times of joy and fun with you. You taught me forgiveness and to live in the present. You taught me what genuine friendship is all about. You didn't care what we did, as long as we were together. So, if you weren't welcome somewhere, I didn't go. You were always there for me and you communicated all your needs and wants; then you were able to perceive my needs and wants and met them like a true friend. You even saved me from what would have been the worst decision of my life...when to let you go back to your Creator. The doctor said that you went so quickly and peacefully because you were ready. When Jesus comes to greet me in Heaven, He will bring you with Him so that I won't be afraid. Until then, you will live in my heart. Anchorage Alaska SPCA confiscated Tundra along with dozens of other animals from a collector in Sterling AK. 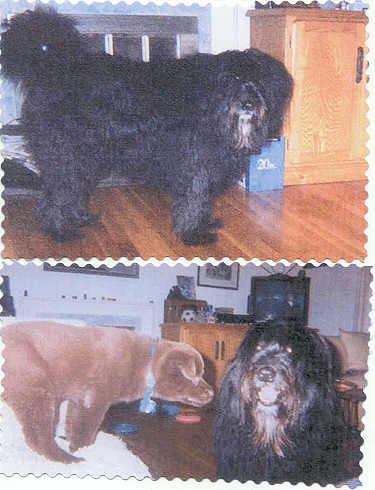 He was flown into Metro Airport from Alaska in December 2001 along with Juneau (already adopted). He was mentally and physically abused, deprived of food, water, exercise, affection and medical attention from his previous owner. But he faired better than dozens of his buddies that were found frozen to death on the end of a short chain without food or water in sight. We gave him six months of love, attention, being fed and watered and being allowed to just "chill out" at his own pace. He had done a complete 360 with regard to his attitude, behaviour and disposition. Tundra had been adoption pending for the last couple of months, his new Dad was waiting for his current dog to cross the rainbow bridge prior to bringing Tundra home. Tundra has always been terrified of loud noises, storms, etc. since he arrived in our care. Last night (8/16/02) we had a terrible thunder storm and it was just too much for Tundra to withstand. He was evidentally so terrified that his heart stopped. We do not know if he had cardio myopathy or not we only know that he left us quickly and without any warning. We will all miss him terribly - and are grateful for the short time we were blessed with his presence. I adopted Thurber, aka Scruffy, from your organization about five - six years ago. I thought I would send you the message I wrote to friends and family members who knew him. I had to have him put down Thursday evening. I had thought his advancing arthritis would be his undoing; my vet thought it would be his heart (he had a grade six murmur!) It was neither of these things. At about 5:30 p.m. Thurber let me know he wanted to go out into the yard. (I have a big fenced in yard behind the house that I built three years ago.) Usually he came right back inside, but this time he didn't. From the back porch I watched him and noticed that he was walking unsteadily. Then he started to moan. Every now and then he heaved, as if trying to throw up, which made me think he must have eaten something that upset his stomach. As I continued to watch him, not sure what to do, he kept walking around the perimeter of the yard. The moans became louder. I decided to take his temperature, and when I saw that it was 104 (a dog's normal temperature is 101) I immediately called my vet. Though it was almost seven, the clinic luckily was still open. I wasn't sure Thurber would be able to jump into the back of my car, but with a boost from me, he made it. Driving to the clinic, I wondered what I'd do if the vet told me that tests would have to be done to find out what was wrong. However, when he palpated Thurber's abdomen, he found a big lump. It was either a tumor or a tortion of the spleen, he said. I think it must have been the latter, which my vet said can develop very suddenly. He recommended against putting Thurber through surgery, and I agreed. Thurber's death was very peaceful; I had my face against his, and as he sank slowly down from a standing position, I felt my vet's hand cover mine. Knowing Thurber was nearing the end of his life, I had already dug his grave. (I remember that when I'd finished it, he went and stood in it and looked out at me over the rim.) As the light left the sky, I buried him in it. He was an absolutely impossible dog: he drooled, he shed massive amounts of hair; he was insecure, restless, obsessed with food, and aggressive toward other dogs. 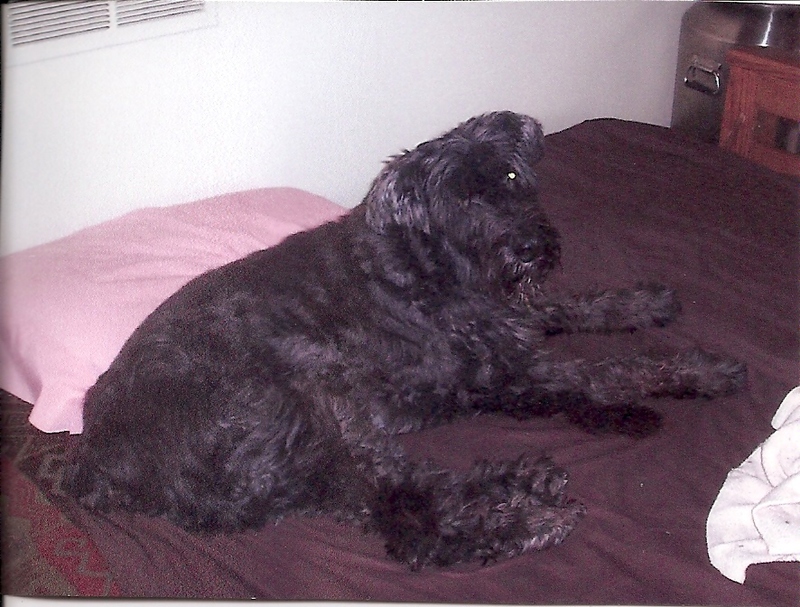 Still, I am thankful for the almost six years that he was part of my life, and I will miss him keenly. Gloria Stevenson, Kingston, NY. Sixteen days, such a short time. But for sixteen days we were unbelievably blessed by the huge heart and gentle spirit of Cam. He came to us saddened, puzzled at being abandoned by his other family. Happily, the sadness didn’t last long. Cam found acceptance, love and freedom with us. We were privileged to see him blossom. There was a spark in his eyes and an emerging sense of humor. We watched as he rolled in the grass and growled at the sensations he was experiencing. We saw his doggie grin as he sniffed the air, poised as still as a statue. The pure bliss at being outside. And oh how he enjoyed his water bowl! No more waiting for permission to drink. In went his face, muzzle completely submerged and then flinging himself on his bed to wipe his face and start all over again. 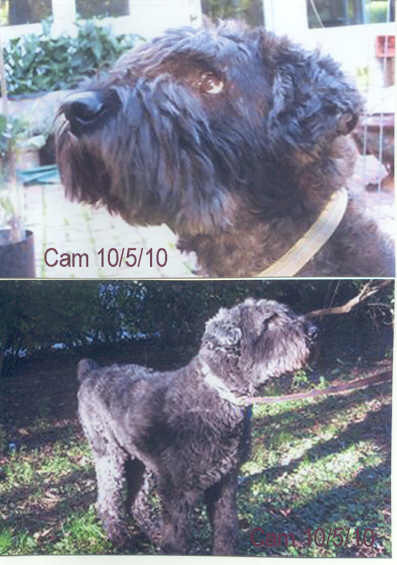 This happy boy was OUR Cam, and we loved him with all our hearts. Then one night our Cam wasn’t well. He stayed on his bed and his glow wasn’t quite as bright. At the University the vets couldn’t decide what the exact problem was, but whatever it was, it wasn’t good. They couldn’t guarantee anything, because they didn’t know what they were trying to treat. They wanted to run more tests with the possibility of still not finding out what was wrong. I had to make the heart wrenching decision to either put Cam through more agonizing tests, or let our Cam go. I couldn’t bear the thought of him suffering any longer. I held the sweetest dog I’ve ever known and talked to him until he could no longer hear me. As the tears flowed, I told him to look for Bear, Kaela, Beau, Max, Sonny and all my cats at the Rainbow Bridge. They’d be there waiting. I promised that one day I would be there to share in all the wonderful things we didn’t get time for here. But, I’m not quite sure my beloved Cam is gone. There are unexplained ripples in the water bowl that I haven’t had the heart to move and the click of nails on the floor….. I bid a very sad farewell to my beloved friend & companion Trigger. We never know how much pain our babies are in until they can't hide it anymore. They try not to show it & keep right on loving us. Trigger's pain became unbearable for him despite the very strong medications he had been taking. He knew when to comfort me after my husband Warner passed away. When Abby left this world, he would bring me biscuits & put them at my feet as if to say "we'll be ok Mom". I could go on & on about Trigger's awesome intuition. We aged & became physically challenged together & understood each other completely. The only comfort I get from losing him is knowing his pain & suffering is over. .